This is actually a Gwyneth Paltrow recipe featured in the April 2011 Food and Wine. And the second we had a spring-like day after the longest, wettest winter ever, I was craving exactly this. 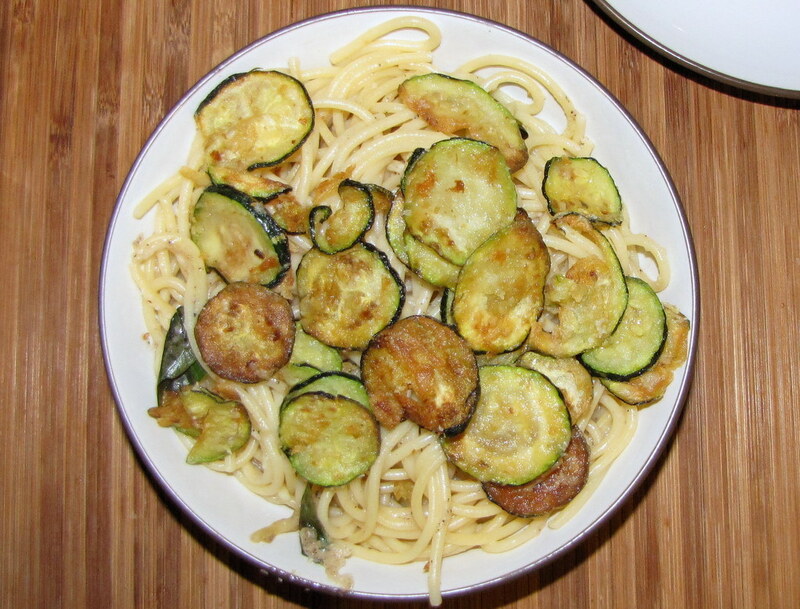 Delicious, salty, crispy fried zucchini and cheesy pasta, fresh basil. Excellent, excellent. 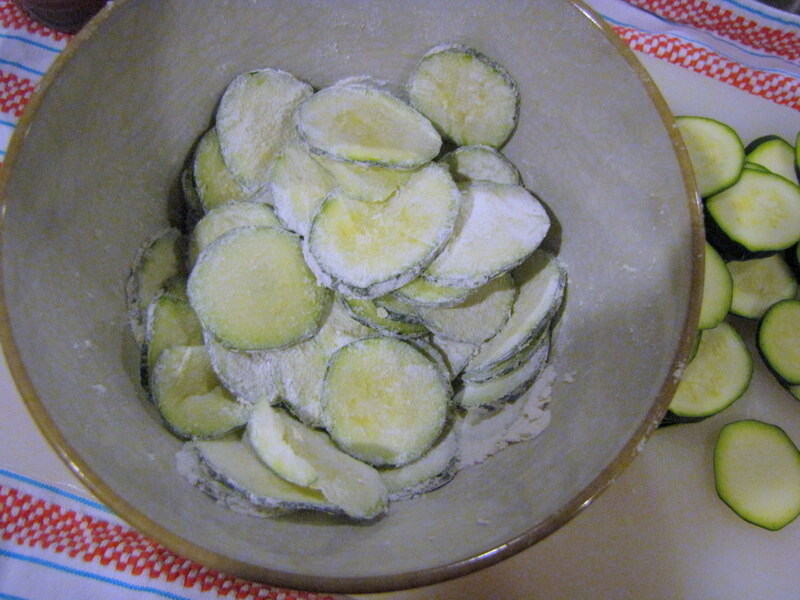 In a medium bowl, toss the zucchini with the flour and a pinch of salt. In a very large skillet, heat half of the oil until shimmering. Add half of the zucchini and fry over high heat, turning once or twice, until browned and crisp, 3 to 4 minutes. Using a slotted spoon, transfer the zucchini to a paper towel–lined wire rack and season with salt. 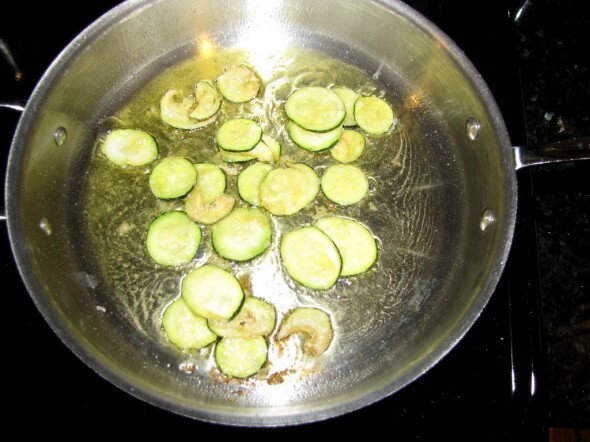 Repeat with the remaining oil and zucchini. Meanwhile, cook the spaghetti in a large pot of boiling salted water until al dente. 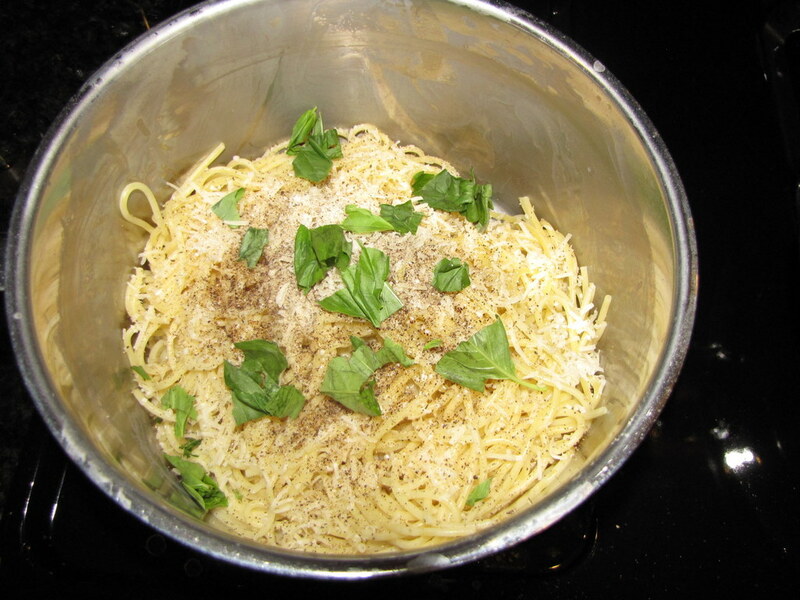 Drain, reserving 1/2 cup of the pasta cooking liquid. Return the pasta to the pot and toss with the 1 cup of cheese, the basil and a generous pinch of pepper. Add the reserved pasta water a little at a time, tossing well to coat. 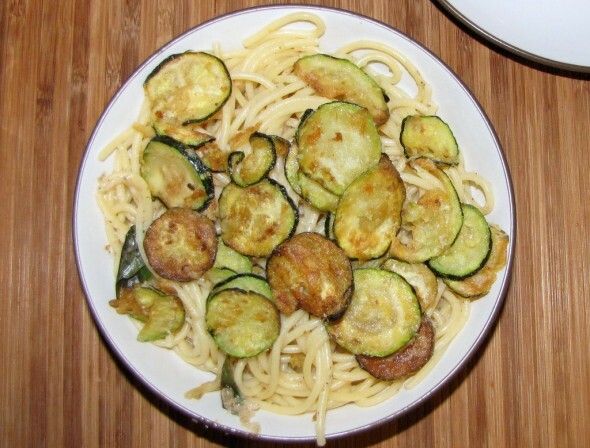 Transfer the pasta to a bowl and top with the crispy zucchini. Serve right away with lemon wedges and additional cheese. 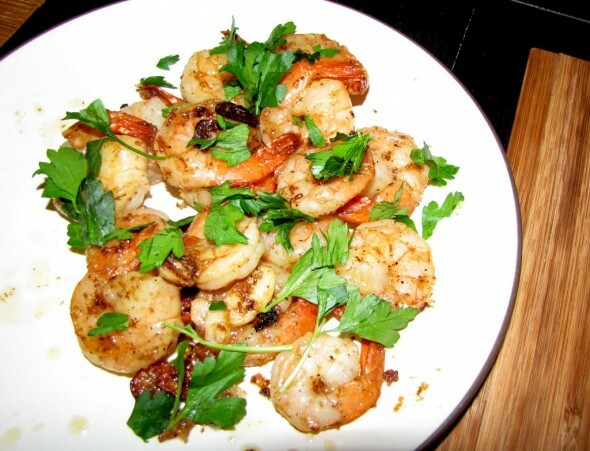 I actually threw together some garlic shrimp to go with this pasta, just in case Adam wanted a protein. 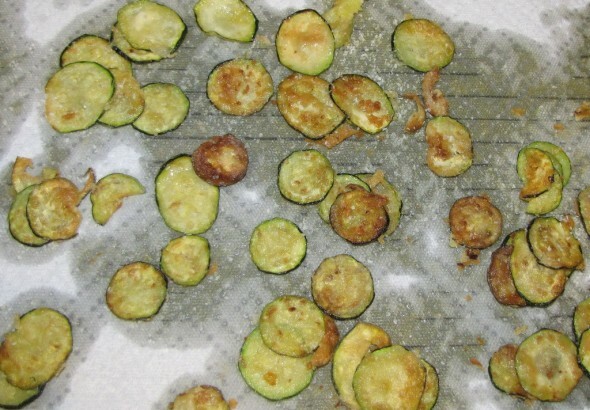 I threw 3 or 4 sliced cloves of garlic into the hot oil left after frying the zucchini, then added the shrimp, salt and pepper, and the juice and zest of 1 lemon. Then I served it with parsley.